In order to experience God’s unshakable peace sometimes we must experience uncertain circumstances. In Judges Chp. 6 we find that Gideon believed he was too ordinary(weak) to accomplish the extraordinary task that God called him to complete. It wasn’t until the Angel of the Lord barbecued a young goat on a rock (v.21) that Gideon realized that God would be with him and that he would not perish in what looked like an unbeatable battle. 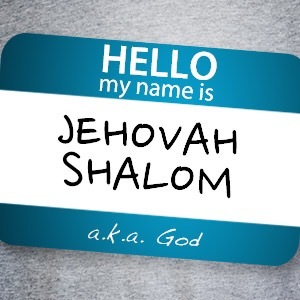 Gideon later built an alter and called it Jehovah Shalom (The Lord is Peace). When we experience uncertain circumstances it’s kinda difficult to decipher God’s voice from the other voices. But, one thing is certain God’s voice will always prevail, His peace will consume our fears, and His love will never fail! This entry was posted in Uncategorized and tagged Gideon, Jehovah Shalom. Bookmark the permalink.